Losing one’s baby teeth is a big deal. Use this opportunity to celebrate growing up by making the first tooth a special event. 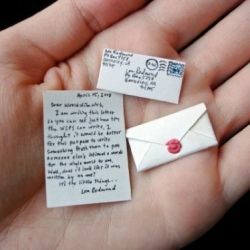 Here are some ways (simple and inexpensive) that you can add a little magic to the experience. 1. Use a special coin. Quarters and dollars may be a lot of money to your child, but they’re pretty mundane. Everyone has them. 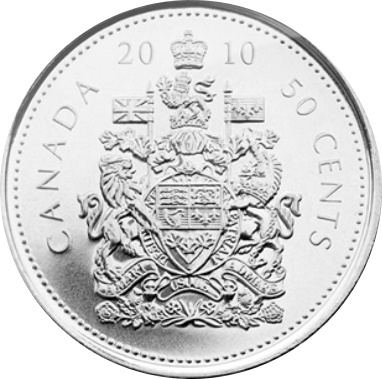 Spruce up the event by giving out a denomination that isn’t quite as common, like a half dollar or silver dollar coin. You can also use clear glitter nail polish and paint the coin you use – to make extra special tooth fairy money. 2. Catch the tooth fairy in the act. 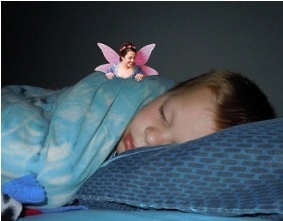 Create a photo of the tooth fairy visiting your child by taking a picture of them sleeping the night the fairy visits. Upload it to iCaughtTheToothFairy.com and receive a digital image that shows the tooth fairy herself in the middle of her transaction. ($10 charge). 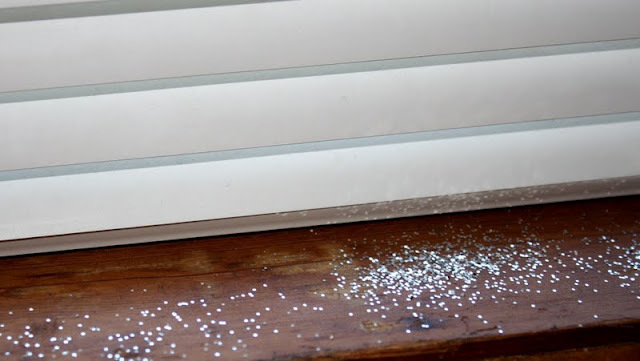 Pick up some glitter at the dollar store and spread it on the child’s window sill, floor, or pillow. You can also have the child leave his or her tooth in a glass of water. At night remove the tooth – put some colour and glitter in the glass. 4. 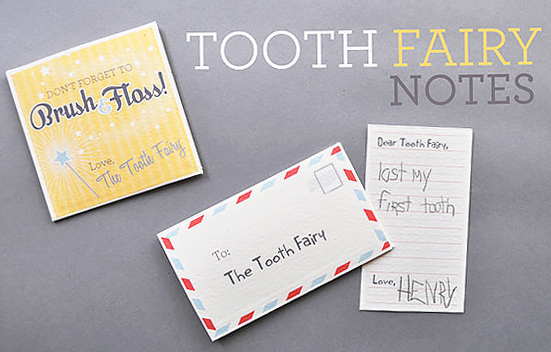 Write a letter from the tooth fairy. 5. 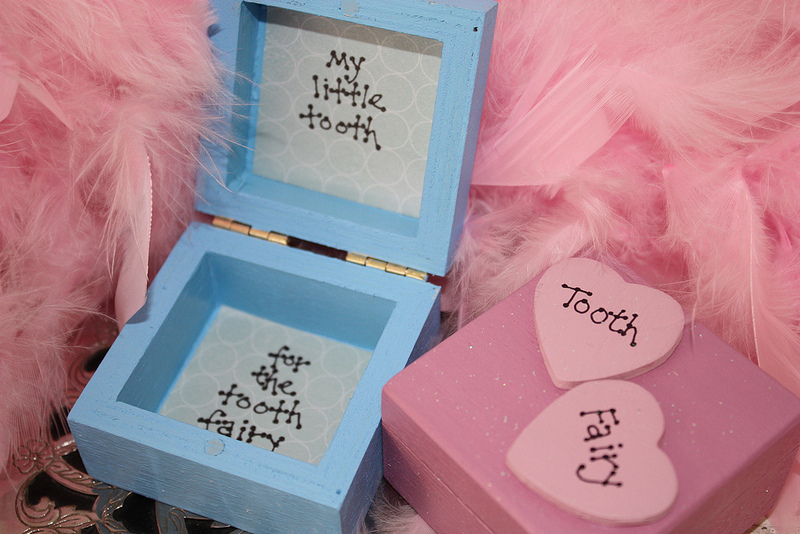 Keepsakes Buy or make a special Tooth Fairy pillow or box. Etsy.com has cute pillows, or bowls etc., if you are not the creative type. Or you can go to the craft store or dollar store, buy some paints and create a container. 6. 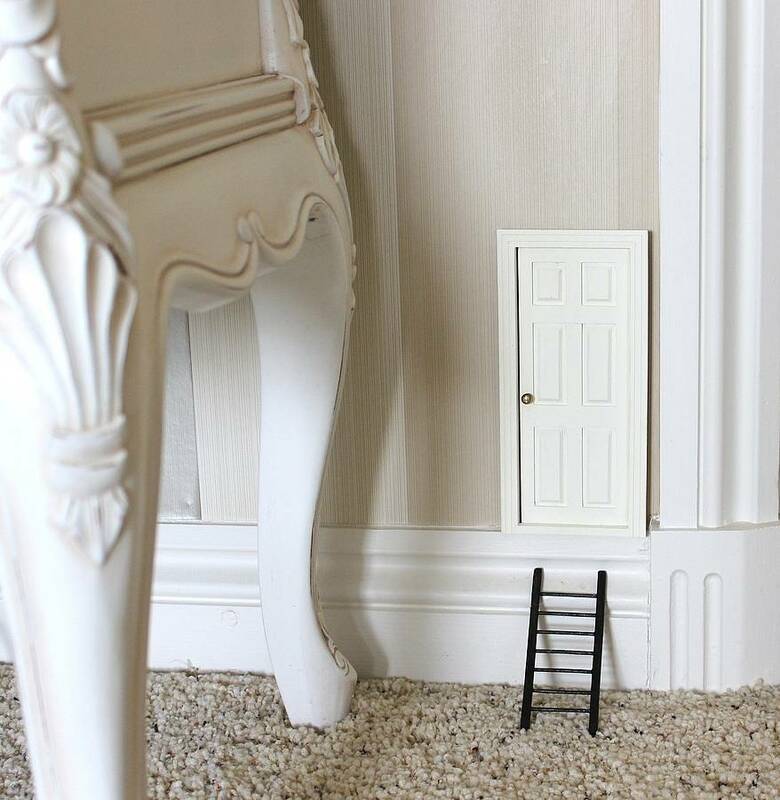 A Tooth Fairy Door Set up a miniature door for the Tooth Fairy to come through. 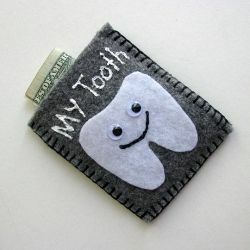 You can buy one on a site like Etsy.com, or decorate a dollhouse door yourself, and hang it on the wall so that the Tooth Fairy can get into the kids’ rooms. This entry was posted in Fun Facts and tagged tooth fairy. Bookmark the permalink.